The comfortable enjoyment of life and property, particularly with regard to visual appearance, odour, dust, noise and lighting. 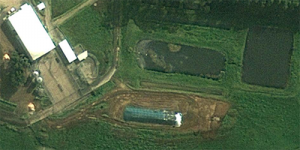 A distance between the feedpad complex and surrounding environmental features (e.g. 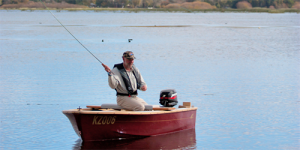 waterway, surface or ground waters, significant native vegetation). 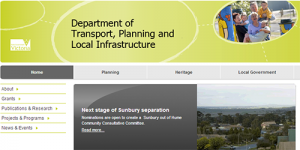 Formal approval of building plans usually by local shire. 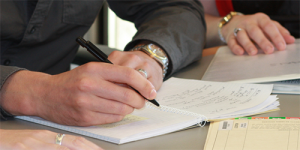 Ensures that planned development meets current codes and regulations. 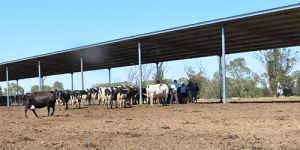 One off investment costs – in this case, the costs associated with construction of a feed pad and the purchase of any associated equipment. 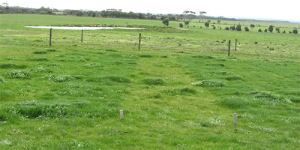 Areas that are used by the community and may be affected by effluent management. 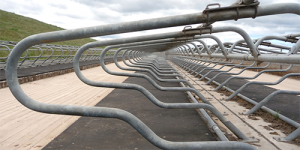 a series of diversion banks or drains placed immediately upslope of the feed pad complex, which are designed to divert ‘clean’ upslope runoff around the feed pad complex. 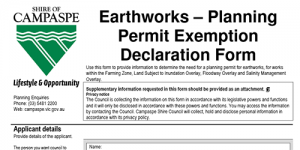 Formal approval of excavating or filling works. The alleys occupied by cattle when they are accessing feed. These alleys are located parallel to the feeding table. 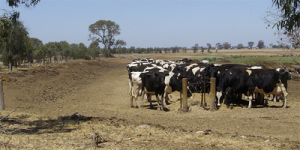 A feedpad is defined as that part of a farm that is used for regular supplementary feeding of cattle on an area of land that is either formed, surfaced or stocked at a rate that precludes vegetation. 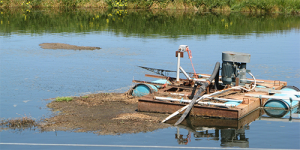 It is generally a confined area in which feed and / or water are provided. 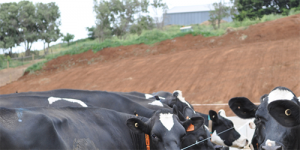 Cattle are held and fed for all or part of the year for the purpose of production and / or growth of young cattle, and for protection from adverse environmental impacts such as wet or cold. 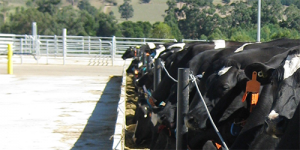 Where feed is placed for cattle on a feedpad (e.g. in troughs, on concrete alleys, on the ground). 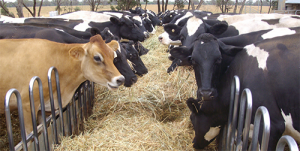 A Feeding system that allows feeding on a feed pad as well as in paddocks. Useful in drought or wet conditions. 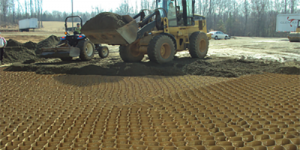 A thin flexible and permeable sheet of synthetic material used to stabilise soils. A series of diversion banks or drains placed immediately up slope of the feedpad complex, which are designed to divert ‘clean’ up slope runoff around the feedpad complex. Where soluble nutrients (e.g. nitrogen) are carried by water down through the soil profile. 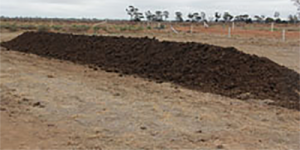 An earthen bank designed to confine or direct liquids and solids to or away from designated areas.. The loafing area is a formed surface adjacent to the feedpad complex, or alleys on the feedpad. 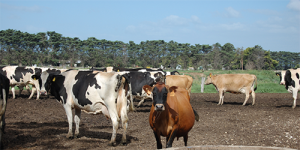 Its primary purpose is to provide a separate section away from the feeding table for cattle to stand, lie, ruminate or idle. 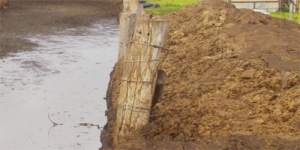 A small concrete wall constructed along the perimeter of alleys to prevent manure from leaving the feedpad and / or entering the feeding table. A partial budget is used to calculate the effect on profits of a proposed change in a portion of the operation. It includes only the costs and returns that change as a result of the proposed change in the operation. Because only a portion of the costs and returns are included, the partial budget only provides an estimate of the profitability of an alternative relative to current operations. It does not provide an estimate of the absolute profitability. 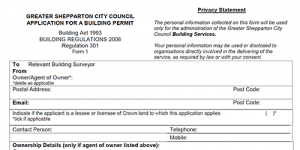 Another authority that the responsible authority consults for advice on a permit application. The body that administers and enforces the planning scheme. 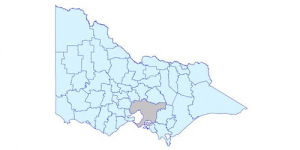 It is usually the local council, unless specified otherwise in the Victoria Planning Provisions or planning scheme. The distance separating a possible source of an emission (e.g. dust, odour or noise) from potential sensitive receptors, such as nearby houses. Maintaining an appropriate separation distance is a key tool to minimise the risk of odour and dust adversely impacting on surrounding neighbours and community. 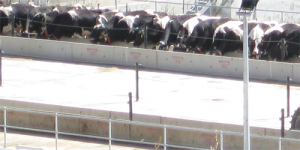 Separation distances are measured from the nearest physical part of the feedpad complex (not including the manure and recycled effluent reuse areas) to the nearest point of the prospective receptor (e.g. sensitive use). The slope in the feed alley that directs manure and runoff away from the feeding table. 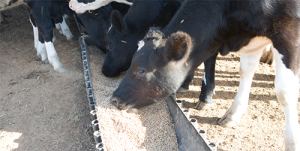 The slope direction runs perpendicular to the feeding table. This is usually only associated with earthen feedpads. A type of loafing area (refer to loafing area definition). 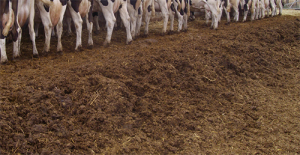 An area where manure, feed wastage or used bedding is stored before being applied to crops or pastures. Carcasses may also be composted in the same area. 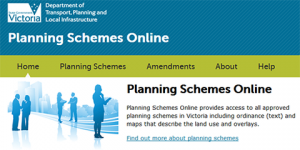 The Victoria Planning Provisions (VPP) is a document containing a comprehensive set of planning provisions for Victoria. It is not a planning scheme and does not apply to any land but it is a State wide reference, used as required, to construct planning schemes. 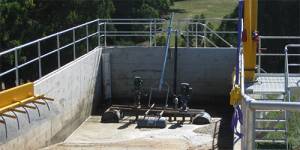 Includes any reservoir, tank, billabong, anabranch, canal, spring, swamp, natural or artificial channel, lake,lagoon, waterway, dam, tidal water, coastal water or groundwater.